Brando has advanced settings panel with many options. Theme options will give you full control over your website and you can manage site design and customize it without adding single line of code. 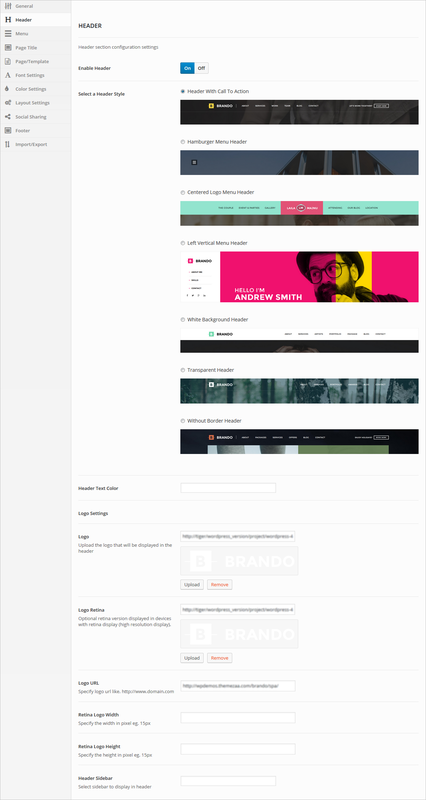 Brando offer Theme, Page, Blog Post, Portfolio, Shortcode, Typography/Color, Layout and Social Sharing options. Navigate to Appearance > Theme Settings from admin panel’s sidebar, these are all global options and that can affect everything within Brando theme. Navigate to Appearance > Theme Settings > Header from admin panel’s sidebar. Admin can setup header display settings, style, text color, logo. Navigate to Appearance > Theme Settings > Menu from admin panel’s sidebar. Assign menu to header section, you can manage menu using Appearance > Menus. Navigate to Appearance > Theme Settings > Page Title from admin panel’s sidebar. 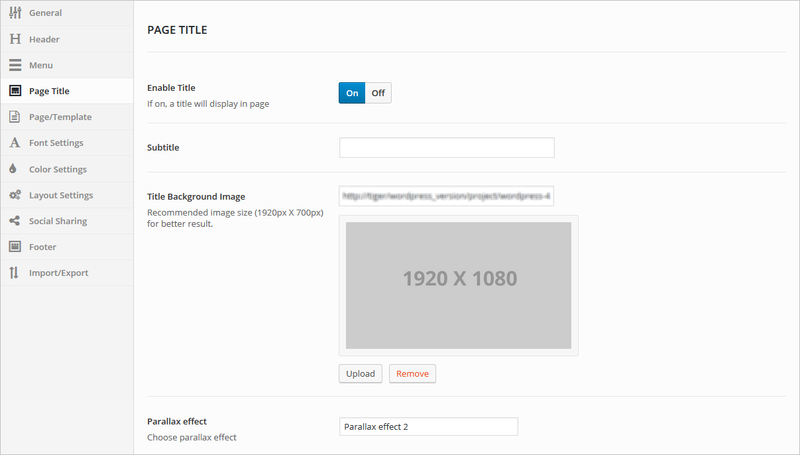 Enable/Disable page title, Subtitle, Title Background Image and set awesome Parallax effect. 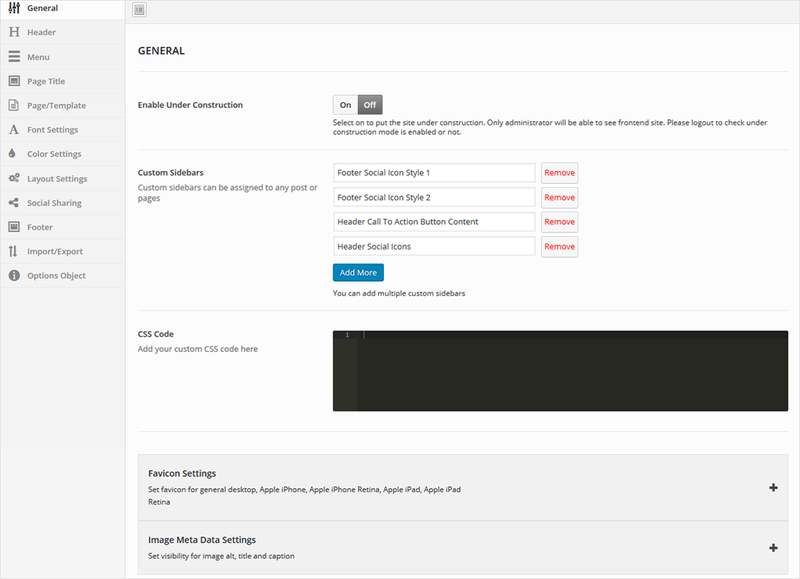 Navigate to Appearance > Theme Settings > Page/Template from admin panel’s sidebar. Set under construction page, comment settings and 404 page settings. Navigate to Appearance > Theme Settings > Font Settings from admin panel’s sidebar. Configure font family and font size. 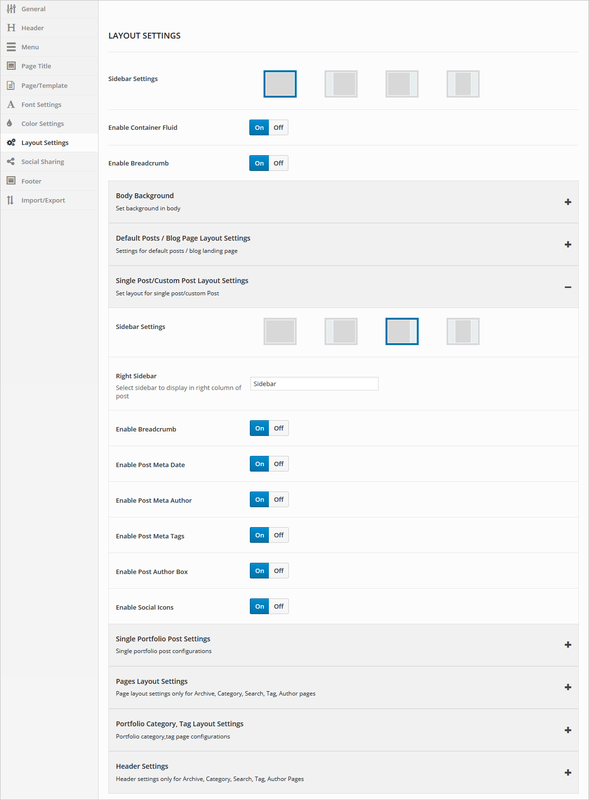 Navigate to Appearance > Theme Settings > Layout Setting from admin panel’s sidebar. 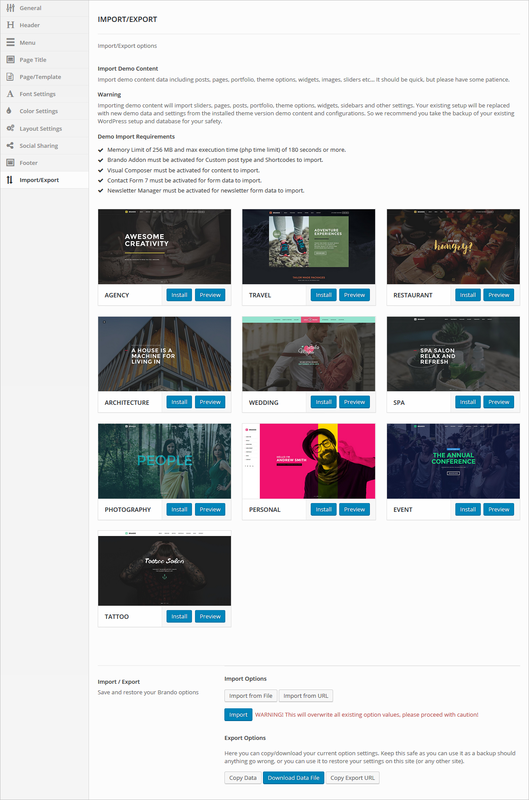 Configure layout with sidebar, breadcrumb, fluid container and settings for body background, default posts / blog page, single post/custom post, single portfolio post, pages, portfolio category page and header settings for Archive, Category, Search, Tag, Author Pages. Navigate to Appearance > Theme Settings > Social Sharing Links from admin panel’s sidebar. 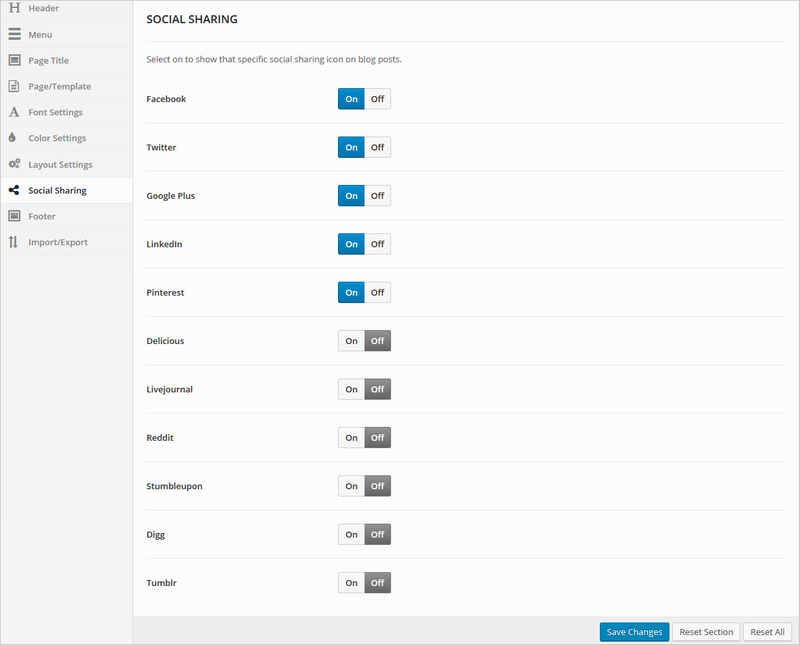 Set social sharing options for single post.